Developing your innovation strategy in Research and Innovation Projects such as in Horizon 2020. Developing highly interactive websites highly linked with social media specifically for european projects that follow contractual principles and are advance the reachability and raising awareness of the european project. We are so much motivated from our achievements and quality of our service that our primary goal is the full satisfaction of our clients. We want to create happy faces and receive 100% satisfaction from our clients. We consider them also as our partners in advertising us to other potential clients. Therefore, we offer the highest quality of service and professionalism in the area of european union grants and managing european projects at the most competitive price in the market. Furthermore, one of the reasons that we offer also training services in planning and management of EU funding projects is that you don't need to engage consultants like us anymore in the future. Finally, in most of our contracts, we are getting paid only after the completion of our tasks and the delivery of our outcomes at their highest quality standard possible. Please contact us for more details and a quote. 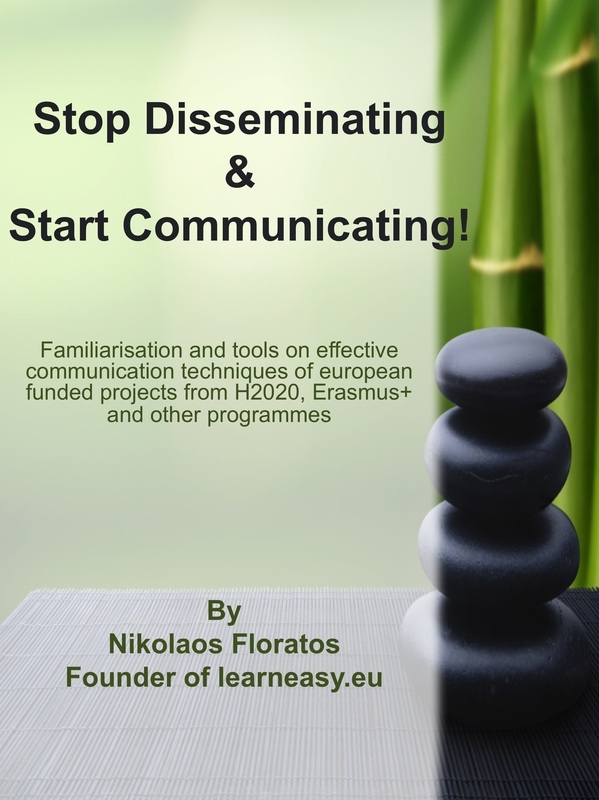 Complete your details for accessing the basic slides from our eBook that is due to be published on "Stop Disseminating & Start Communicating"
NSF CYBERALL ACCESS has been approved by the Institute of Leadership and Management, as an ILM Recognised Provider. This recognition is the result of the high quality of services that the organisation offers and supports our mission also "Everything we do, we believe we change the status quo. We believe we do everything differently and effectively. The way we challenge the status quo is by making sure that our services offer clear benefits to our customers and they are cost effective, simple to apply, inspiring and durable". ILM is a trademark of the City and Guilds of London Institute and is used under licence’.